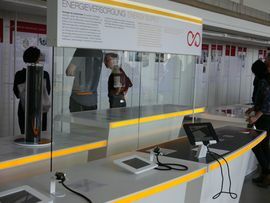 Energy of the Future: UniSysCat Cluster at the exhibition "ENERGY IN MOTION @TU Berlin"
"ENERGY IN MOTION @TU Berlin" is an exhibition in the old library, located on the 3rd floor in TU Berlin´s main building. 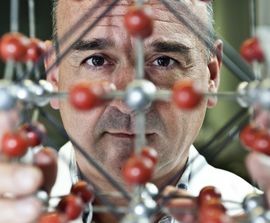 It deals with present and future aspects of energy production. 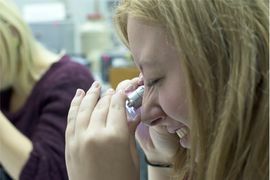 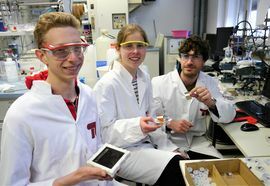 "Jugend forscht": Two young students conduct parts of their project in our labs and win the first price Berlin-wide! 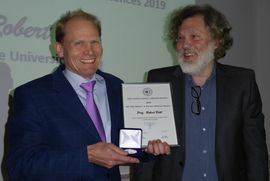 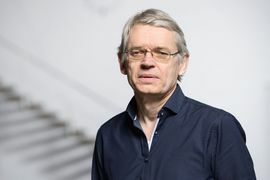 We are honored to congratulate Peter Hegemann as 2019 Rumford Prize Awardee for his extraordinary contributions related to the invention and refinement of optogenetics. 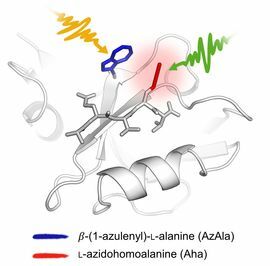 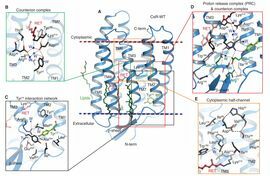 Proteins in action – Two UniSysCat research groups developed an approach to study allosteric information transfer in proteins. 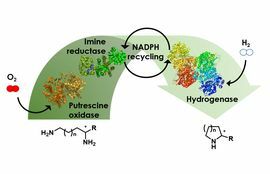 In a joined collaboration, the groups of Lauterbach and Nestl designed an enzymatic cascade for the H2-driven synthesis of nitrogen-heterocycles.